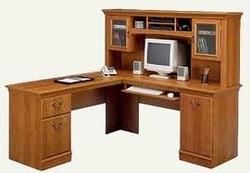 For work, play or an extra bedroom.... you choose. 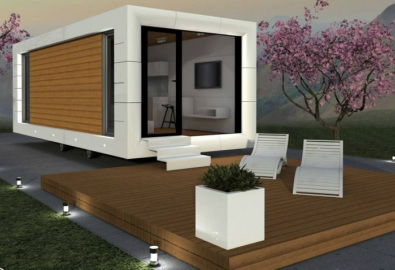 This insulated leisure or garden room comes in various sizes to suit your setting. With electrics installed ready for hook up, all you need to do is prepare your base and off you go. Fit it out with whatever you need and its ready to use! This new model is designed and manufactured in Europe & built to provide a low maintenance finish. Garden rooms have been classed as permitted development since 2008, but check here for the details.. In the larger units we have one or two bedrooms for relaxing, or for guests staying overnight. Plenty of space for your chosen use. Bunk beds, single beds, or bed settee, your choice, plenty of space. With the front extension, this makes room for a storage area, or kitchenette with fridge, microwave and even washing up. Larger versions can transform this into a shower / toilet room. Utilise your garden space and install a Garden Room to accommodate your Gym equipment. 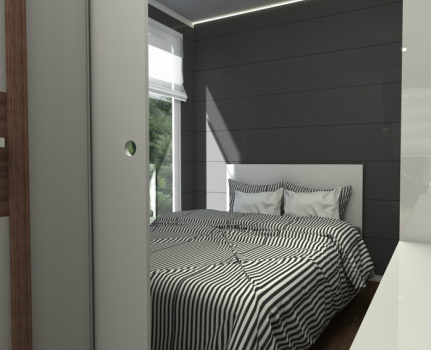 Fully insulated with the option of installed electrics, you can free up that bedroom at last. Front and rear windows are included. Strong floor bearers will support multiple gym machines. Pre-installed electrics will allow the TV to run. Our fully insulated Garden Office is the ideal solution for working from home. We can customize your office with double glazed uPVC or wooden windows and doors. Electric lights(inside and out) and multiple sockets are installed along with secure locks which are fitted as standard. An electric heater is also included. With so many people looking for that extra space to accommodate their personal equipment or hobby collections, this is an deal room and it will not break the bank! The internal finishes can be to your own choice of wood.The outside is tiled to match your surroundings. Each Leisure House is manufactured in the UK to the highest standards and comes complete with insulation, electrics and is ready to go. Choose the finish for your wood grain PVC-u double patio doors, which will have full length glass window panels. There is one window in the back. Add extra opening windows if you want. The size is your choice, lengths vary from 2.4m to 6.4m, it depends how big your hobby kit is! This Leisure House will grow with your child as it is a fully functioning room. 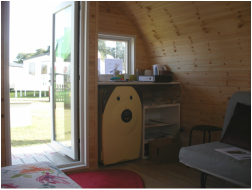 It is fully insulated with electrics and requires minimal heating. Later, it can be used for sleepovers as the children grow older and develop into the social scene. The Game's Room has so many uses. If the kids have grown up and are still making too much noise, give them their own game's or music room. They can scream and drum to their hearts content, down at the end of the garden! A games room is a place to set aside for fun, it is a welcome addition to any home. But getting the most from this room can involve a lot more than just plugging in a TV and setting up your games console. From Wii gamers to pool sharks, a good amount of thought is often required about the size and usable space, especially if you want to get round a pool table. Game room design is one of the latest trends in interior design, adding to the recent explosion of home theater rooms, home offices, and home gyms.